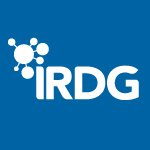 Welcome to the IRDG Blog! This is a public space where we will share items of interest on topics related to Research, Development and Innovation for the benefit of our members and the wider community. We aim to post updates and celebrate success regularly, and welcome suggestions and input from you which we will post on your behalf (send email). Our members are also invited to participate in our members-only LinkedIn Group pages for more indepth and collaborative networking.